> Support > Game support > How to use ScummVm? I updated to LibreElec 9 (so maybe this is a libreelec problem?) and wanted to try the ScummVm Addon. First i couldn't find it because for some reason it is under "Support-Addons". But anyway, i installed the addon but now i cannot find a way to start it. When i select a .exe file i don't have ScummVm in the selection and i don't see any other way to start it. Do i need some other addon to use ScummVm? Or am i just blind/stupid? I have the same issue on rPi 3. ScummVM seem to be installed but when I search for it RUN is grayed out. Anybody? Exactly same problem here.... not sure if it's something I can't see but there is not "run" button on the add-on itself and no way to choose folders or recognize folders with ScummVM games, I would appreciate any input ! Then in Kodi you can point to the scummvm file, and it should launch the game. But on the kodi interface, I go to my games folders on the Games section, and no files with the .scummvm extension are displayed... I can see .rom files or .exe for example. Anyways thanks for trying to help us ! Hmm. I didn't have to do anything to have the files show up. I'll also note ScummVM shows up as a game emulator addon on OSX, and if I go to the addon info window, and press run, ScummVM interface will startup. i wonder if this is a linux/libreelec issue. I will try to move the discussion there. Weird, the reviewerd in libreelec think is kodi's fault, but then it seems this plugin behaves in different ways for diffent kodi users, probably platform related? i just tried LibreELEC 9.0.1 (with Kodi 18.1) on my RPi3B. on the standalone retropie installation i can play games for scummvm. 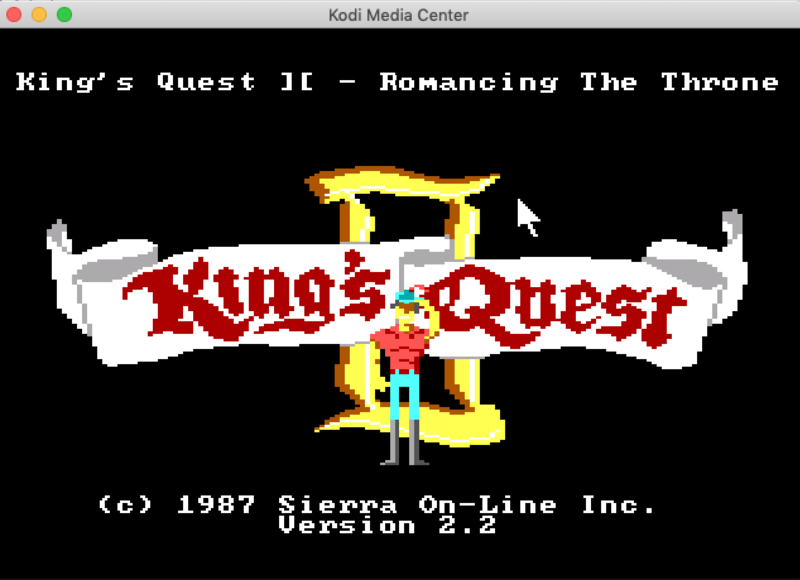 (2019-02-19, 14:57)cc250080 Wrote: But on the kodi interface, I go to my games folders on the Games section, and no files with the .scummvm extension are displayed... I can see .rom files or .exe for example. with the game.libretro.scummvm v2.0.0.4.114 i can see *.scummvm files in the folder. scummvm i didn't got work from IAGL, because i didn't got IAGL work to use my own local game files and the online cloud download is not working because the download requests a account password. I just update CoreElec to 9.01 and then updated ScummVM plugin. Reboot. And now I can see it in add-ons menu. Just click and hold the mouse button to pick up or use stuff. Right click goes to inventory. (2019-02-28, 19:08)beta-tester Wrote: i just tried LibreELEC 9.0.1 (with Kodi 18.1) on my RPi3B. I posted in the other forum, but in case it’s not libreelec related, I get this same error about ZN3GUI13OptionsDialog5cleanEv on all my games.